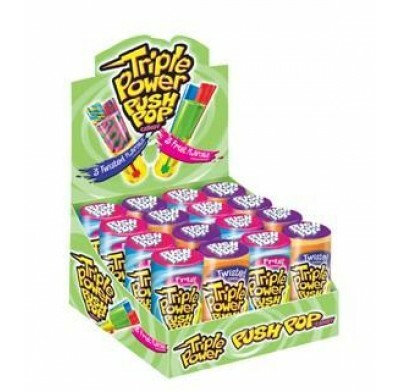 Triple Power Push Pops from Topps, the fun and delicious novelty candy featuring three lollipops in one tube. Flavors include strawberry, watermelon and blue raspberry. 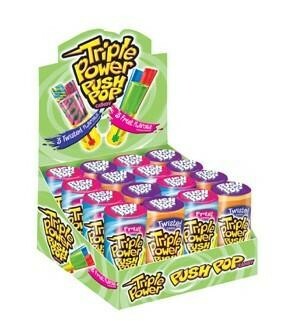 There are 16 push pops per display box.